Happy Friday! I know I'm always glad when the weekend comes. I have a fun little project to share, but first I'll announce the winner to the Shabby Apple giveaway. The winner is: April G, check your email April! And now for a fun little update to my daughter's bathroom mirror. 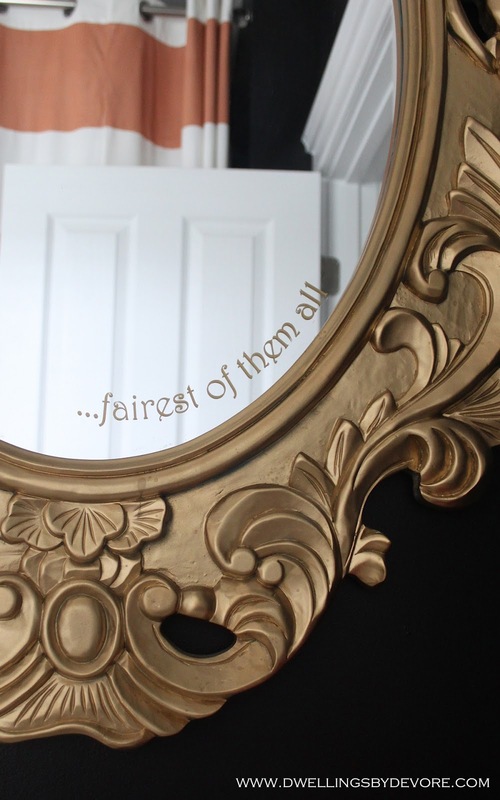 I thought it would be fun to add a touch of fairy tale whimsy with a little quote and some gold vinyl. I used my silhouette machine to create this little decal but I think it could be done with a gold sharpie or paint pen. I just don't trust my handwriting. It's a subtle little touch, but I like it and think she will as she gets older. It was a little tough to get a good picture of it without my top knot making a debut. 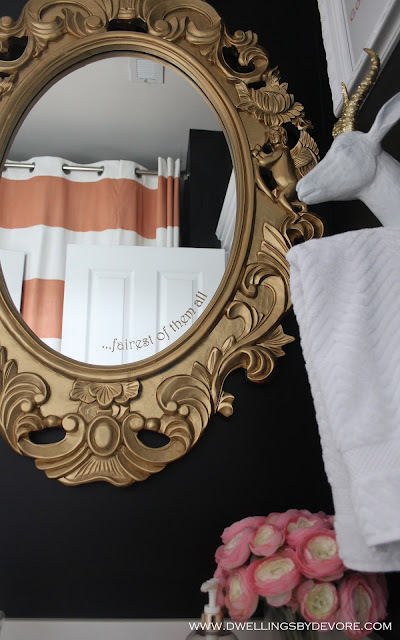 Such a great idea to add a message on a mirror. Who couldn't use a little daily encouragement or inspirational message? I don't have great handwriting myself but I could just keep erasing a sharpie mark until I get it good enough. And I have a gold sharpie so I will give this a try. Thanks. Now that will put a smile on your face each morning! I love it! You know that I have a history with snow white ;) and this is perfect! That mirror is just darling. I love the text.